Samsung is in the news again for yet another smartphone explosion. 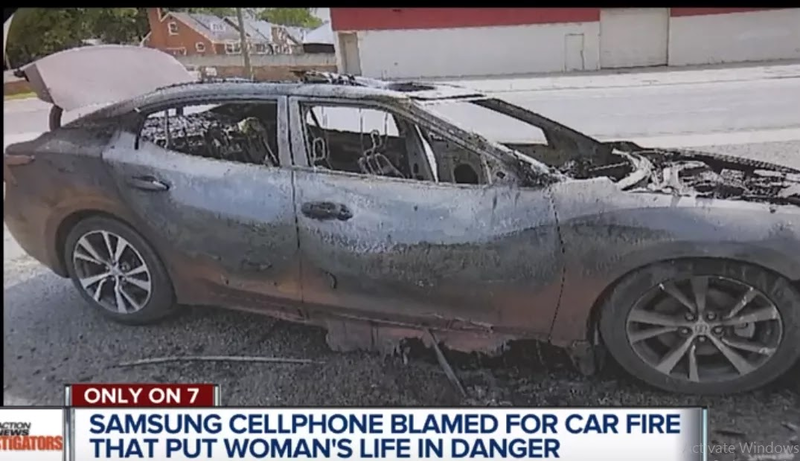 According to a recent report, a woman from Detroit had her car covered completely in flames when one of her two phones sparked and ignited the car. The two phones in question here are the Samsung Galaxy S4 and the Galaxy S8 but the woman is not sure which one of them actually started the inferno. 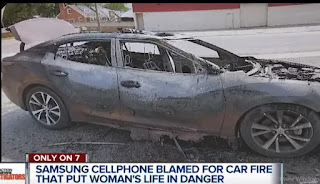 Although she was able to get out of the car safely, she was unable to stop the flame which completely destroyed the car. The Detroit fire department also confirmed the story and even though they haven't confirmed which of the two phones started the flame, more emphasis is being placed on the Galaxy S4 as it's the older phone here and also because they have been multiple cases in the past. Samsung has however responded and the company has sent a crew to examine the car and the portion of the affected phones. "We stand behind the quality and safety of the millions of Samsung phones in the U.S. We are eager to conduct a full investigation of this matter and until we are able to examine all of the evidence, it is impossible to determine the true cause of any incident." If you happen to own an old or new smartphone, it's always adviceable to always take necessary precautions and also make sure you use the recommended accessories at all times.